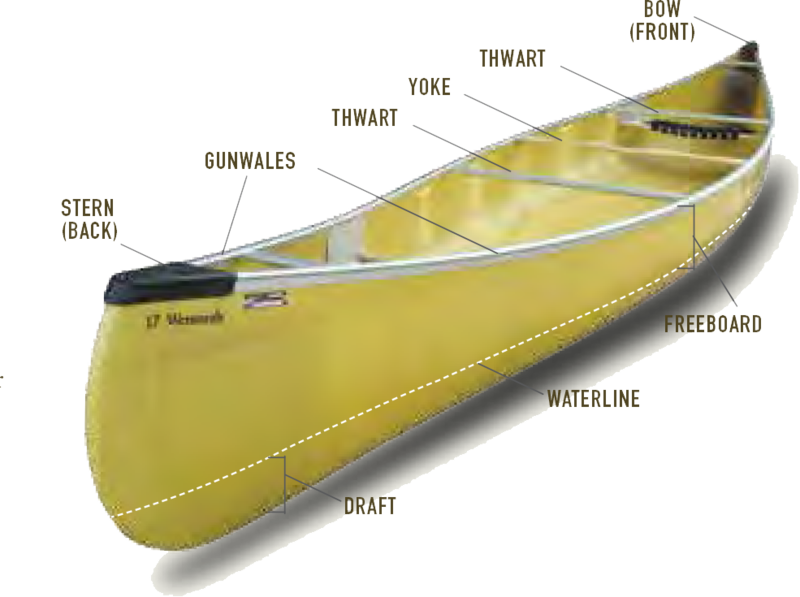 A canoe's performance is built into its design. The dimensions and shape of the hull above and below the water line and other design variables, determine how efficient, stable, roomy, maneuverable and seaworthy each canoe is. Of the more than two dozen models in this catalog, no two perform the same. 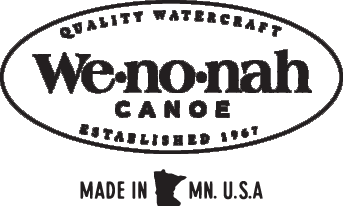 A sports and leisure canoe that's stable and easy to paddle will have a different length, width, rocker and streamlining than a performance canoe designed to go fast and glide far. Even within the same category of canoes, subtle differences in design will change their performance. EFFICIENCY How far the canoe goes with each stroke. A long glide following the stroke means the canoe is very efficient. MANEUVERABILITY How easily the boat will turn. A lot of boats are specifically designed to “Track Straight.” We always say it's much easier to turn a boat than keep one going straight. CAPACITY How much gear and weight the canoe can hold. STABILITY “Initial” stability is how tippy a boat feels when you're getting in and out of it or when it's resting on calm water. “Final” stability is how resistant a canoe is to tipping even when leaned or in high winds and waves. SEAWORTHINESS How dry, capable and predictable the canoe is in large waves or rough waters. LENGTH Longer canoes track straighter, travel faster and glide farther. They also hold more and perform better when loaded. Shorter canoes turn easily and are great for paddling on tight streams. Even a 6" difference in length can make a dramatic difference in canoe performance. Remember that in most cases longer is better, as it is always easier to turn a canoe than keep one going straight. 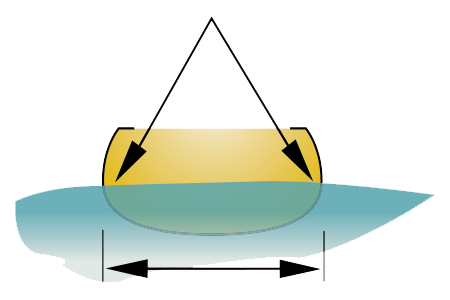 DEPTH Adding depth to the center of the hull creates more freeboard, which adds capacity and seaworthiness. 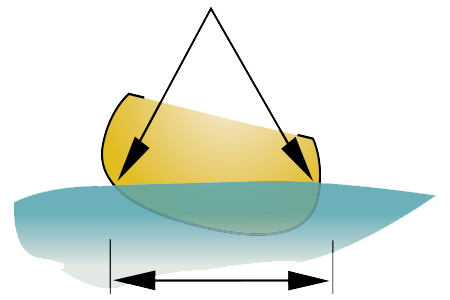 Adding depth to the bow or stern helps to fend off waves or spray. 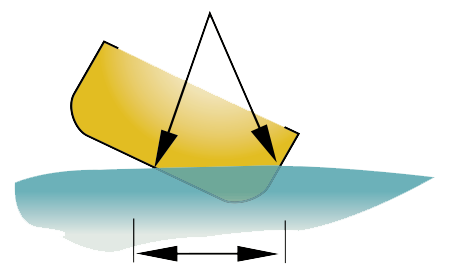 WIDTH A wider hull has a higher initial stability, but requires more effort to paddle. A narrow hull requires less effort to paddle, but has less initial stability. Width also increases capacity, although not as much as length. 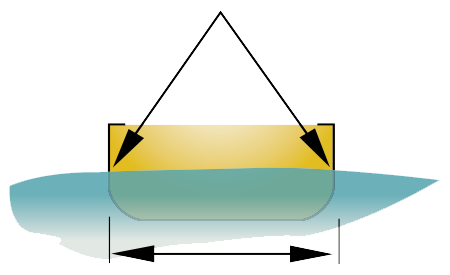 STABILITY Cross-section shape determines initial and final stability. Initial stability is how stable a canoe feels when upright in calm water. Final stability is how resistant a canoe is to capsizing even when on edge. FLAT BOTTOM Typical for bargain canoes. 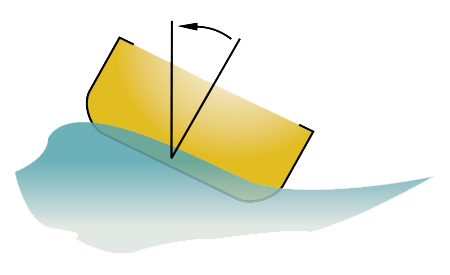 Flat-bottomed hulls have initial stability, but are unpredictable on waves or if leaned beyond a critical angle. SHALLOW ARCH Characteristic of well-designed hulls. Good initial and final stability. Predictable and responsive when leaned or on waves. 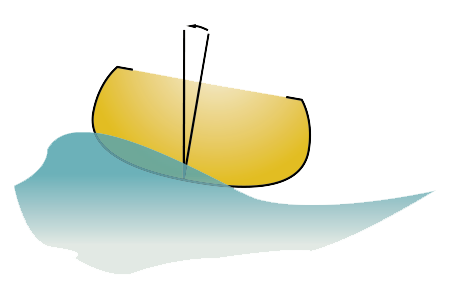 SHALLOW "V" Shaped with a ridge in the center, like a keel. Stable but rides deeper and is less efficient than a shallow arch. May snag on rocks. ROUND BOTTOM Extremely rare, used only on canoes for calm-water racing. Very fast, but has no initial stability at all and is tricky to balance. FLARE A flared hull widens out near the gunwales. It deflects waves and resists capsize. TUMBLEHOME is how the hull curves in toward the gunwales and lets the paddler paddle close to the hull. Most evident in solo designs. Both flare and tumblehome may be built into different parts of the same hull. ENTRY LINE The entry line is the sharpness of the bow. 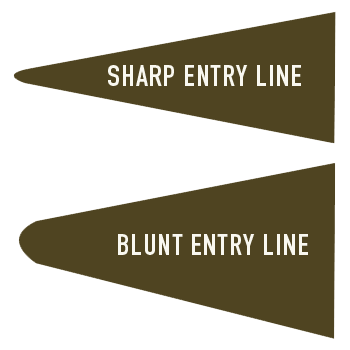 Blunt entry lines resist impacts better, which is why whitewater canoes generally have blunt entry lines. Sharper entry lines improve the hull's efficiency and tracking. STREAMLINE AND FULLNESS Different canoes with the same load can require more or less effort to paddle, depending on streamlining and fullness. How fast or how gradual the hull widens influences speed, capacity and stability. A hull that widens gradually and smoothly is more efficient. A canoe with a flat bottom hull feels steady when it’s upright on calm water. Flat bottom hulls have good initial stability. Paddlers feel little oscillation because the hull’s greatest possible width is in the water. When loaded, it rides lower but has about the same shape. It will be stable as long as it is upright in calm water. When it leans, one side of the hull lifts entirely out of the water. With less surface area submerged, paddlers must work hard to keep it from tipping over. 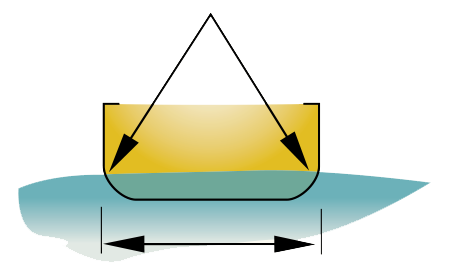 Flat bottom hulls have less final stability. In waves that strike the canoe crosswise or at an angle, the flat bottom hull rises and falls on the surfaces of the waves. Paddlers must react fast to the rocking back and forth. When loaded, the weight presses the widest part of the hull into the water, which makes the canoe more stable. When it leans, both sides of the shallow arch hull stay in the water, making it easier for paddlers to balance. 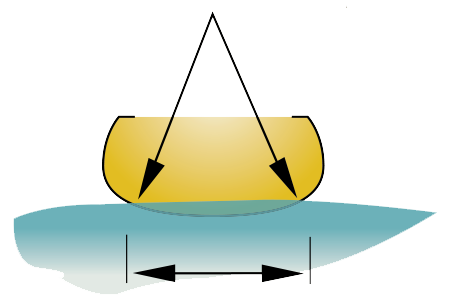 A shallow arch hull presents less resistance to waves and rocks less. Paddlers easily maintain balance.